Mean sea profile above T/P reference ellipsoid. This surface is available on a regular grid (1/60°x1/60°, 1 minute). 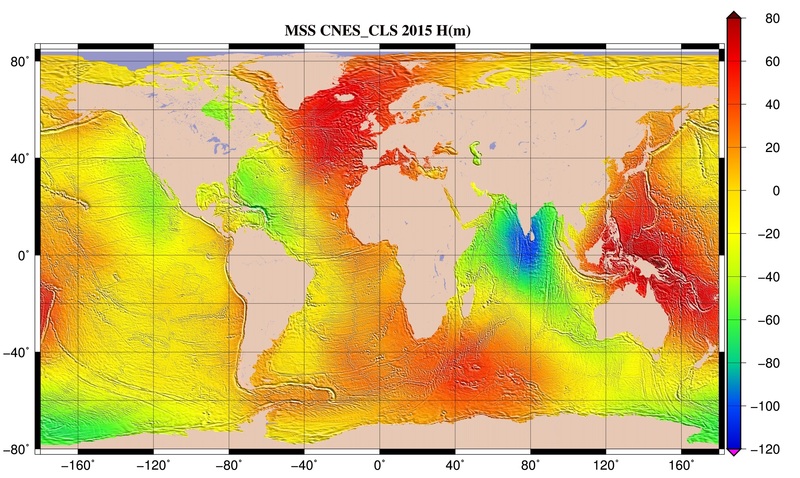 The mean sea surface MSS_CNES_CLS_15 has been computed using a 20-year period of altimetry data.